Stunning scenery and some excellent fishing are what you’ll find on the Clarks Fork River north of Cody, Wyoming. The Clarks Fork river originates in Montana, but flows southeast into Wyoming before circling back north to join the Yellowstone River. Twenty miles of the river were designated Wyoming’s first Wild and Scenic river in 1990. This is deep canyon country, with phenomenal waters where you can leave the civilized world behind. The Clarks Fork is a no-nonsense river that plummets down from the Beartooth Plateau emerging in a frothy frenzy at the opening of the Clarks Fork Canyon near Clark. This river’s best access is at the Edelweiss Store near the enclave of Clark or further upstream at the Painter Store and on into Cooke City, Montana. The section of river runs through the treacherous Clarks Fork Canyon, where the river falls from 10,000’ elevation down to 3800’. Access is very difficult with trails names to the water like Cardiac and Deadman. You’ve got to be in excellent physical condition to fish through the gorge itself. Both the east and west ends of the Clarks Fork are open to flies and lures only. Bait fishing is not allowed. Due to the elevation the fish are smaller and are primarily brook trout with a few rainbows and Yellowstone Cutthroats mingling about. Peak angling happens after the runoff into late October. 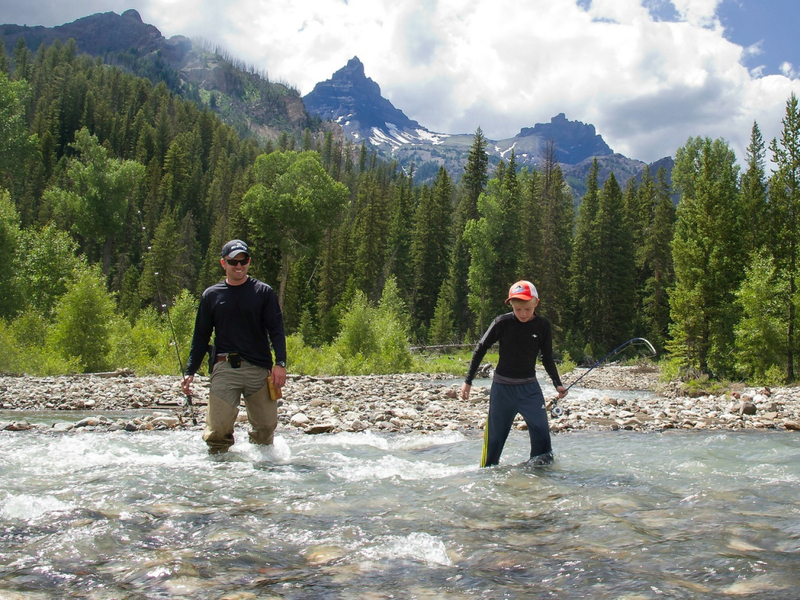 If fishing is a social activity for you, the Clarks Fork is not going to be your favorite. Anglers will generally find themselves alone with the moose, elk and bears that inhabit this isolated area. Both the river and the landscape demand an experienced angler, someone who understands how to negotiate swift and pushy water and how to minimize encounters with a fishing bruin or grouchy mama moose. Solitude is part and parcel of the experience along the Clarks Fork. 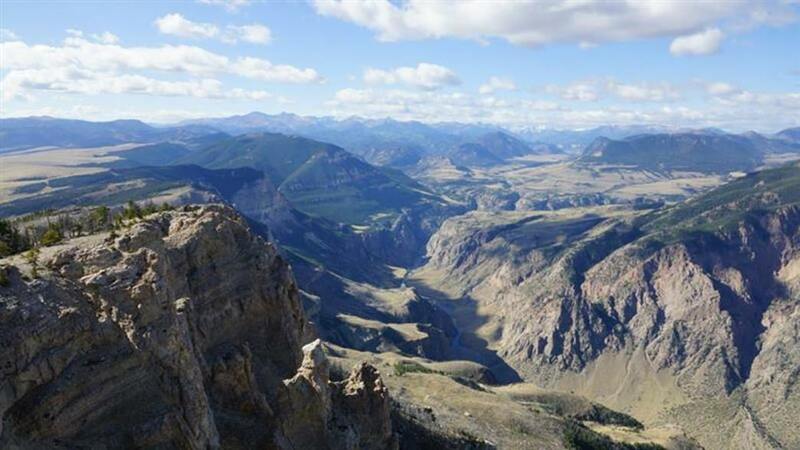 Despite the hazardous nature of the canyon, this is where over 700 Nez Perce Indians and their 2000 horses wended their way along the steep cliffs and over boulders to gain the flat lands of the Big Horn Basin in an effort to elude capture by the US Army. In addition to the Clarks Fork, there are some great tributaries open to fishing. Dead Indian Creek, Sunlight and Crandall Creeks all offer some excellent waters. There are two ways to access the Clarks Fork River. To get to the lower reaches, from Cody take WY 120 north 30 miles to WY 292. The Edelweiss Store is here in case you need a few snacks. Turn left and follow the road, heading to the southwest for 11 miles until you reach the dead end at the mouth of the Clarks Fork Canyon. 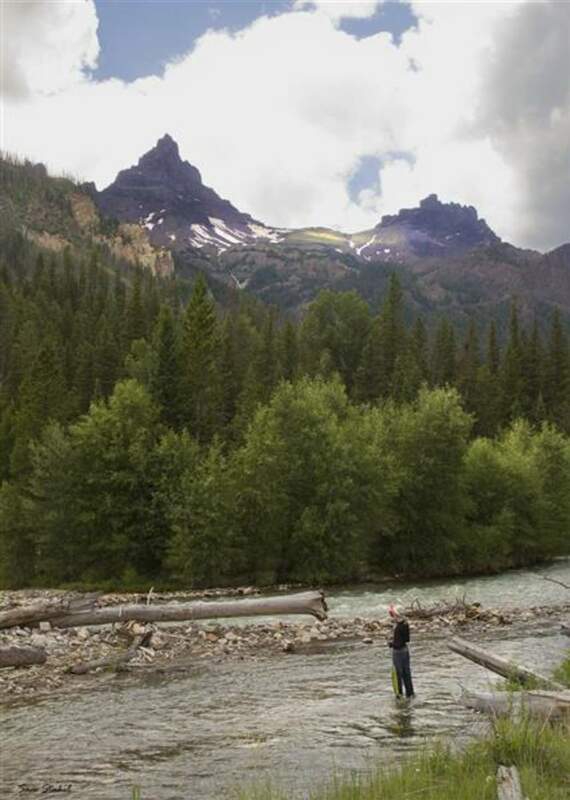 The upper sections of the river are accessible off of the Chief Joseph Scenic Byway. From Cody take WY 120 north 16.8 miles to the Chief Joseph turn out. Turn left and continue over Dead Indian Pass. 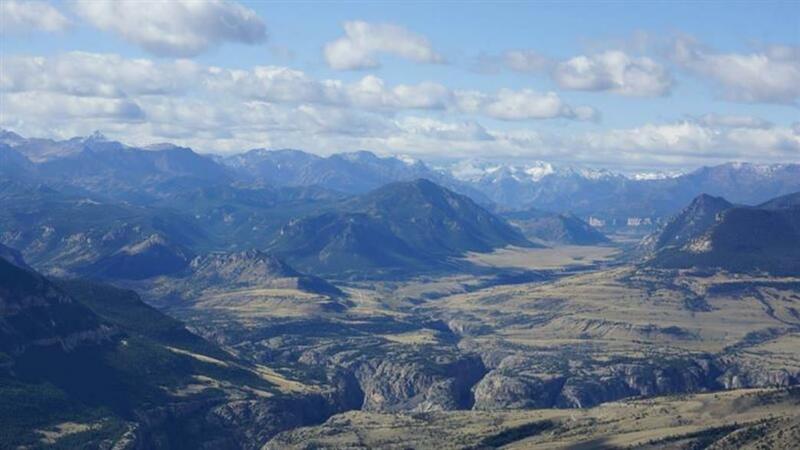 Stop at the top of the pass for some information about the flight of the Nez Perce and some stunning scenery. Continue west 27 miles to the Painter Outpost in the community of Crandall. Be sure you know the location of public and private reaches of the river. North Fork Anglers has current information on all rivers in the region. There are no fees other than your Wyoming fishing license. Leashed pets are permitted and remember to carry bear spray. Cell service can be minimal in this area.